When the Pittsfield Mafia destroyed Mack Bolan’s family, the only survivor was his brother Johnny—a wide-eyed teen not prepared for life on the front lines of a war against the mob. Before he began his assault on organized crime, Mack sent Johnny into hiding along with Mack’s fiancée, Val. Now they’ve been kidnapped by an enterprising thug who thinks he can use the Executioner’s family against him. The Boston mob will pay for his mistake. The city’s Mafia has splintered into factions, and Bolan is about to blow them wide open. He starts by marching into a few mob hangouts, killing the man in charge and demanding his brother back. When he learns that Johnny and Val might be dead, he loses it completely. When he’s being cautious, the Executioner is the deadliest man in America. Angry, he’s more trouble than an atomic bomb. 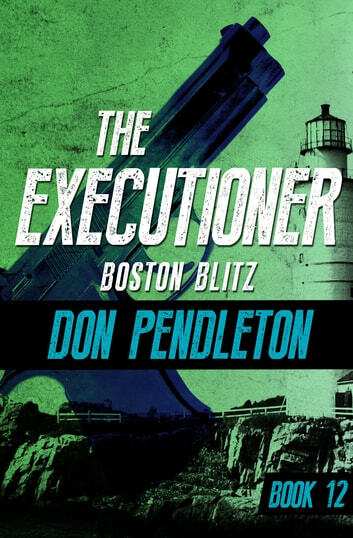 Boston Blitz is the 12th book in the Executioner series, but you may enjoy reading the series in any order.